They radiate the audacity of intellect, as well as the cruelty of vision, that have won their author a devoted following. “Poetry is braver than anyone,” Roberto Bolaño believed, and the proof is here in Tres, his most inventive and bracing poetry collection. 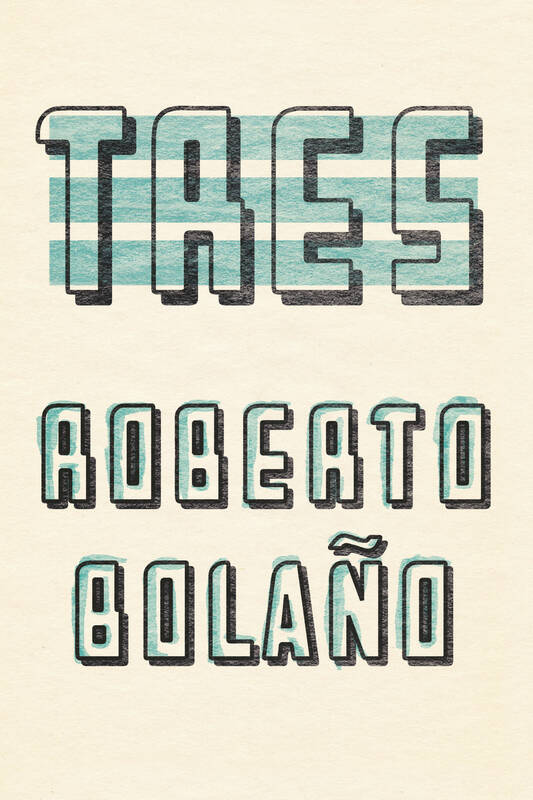 Roberto Bolaño’s Tres is a showcase of the author’s willingness to freely cross genres, with poems in prose, stories in verse, and flashes of writing that can hardly be categorized. As the title implies, the collection is composed of three sections. “Prose from Autumn in Gerona,” a cinematic series of prose poems, slowly reveals a subtle and emotional tale of unrequited love by presenting each scene, shattering it, and piecing it all back together, over and over again. The second part, “The Neochileans,” is a sort of On the Road in verse, which narrates the travels of a young Chilean band on tour in the far reaches of their country. Finally, the collection ends with a series of short poems that take us on “A Stroll Through Literature” and remind us of Bolaño’s masterful ability to walk the line between the comically serious and the seriously comical. Raw, straightforward and crisp … striking, truly exceptional work. Beautifully unrefined. Poems that unscroll like black-and-white movies or occupy pages like a tattoo, art and life entwine, and all is sinister and precious. Witty, sardonic poetry, the likes of which could be called ‘unimproved’ – lacking the polish of a shiny commodity. Wonderful. Bolaño, the phantom mega-star of global fiction since his death in 2003, thought of himself as a poet first and a novelist second. In verse, as in prose, Bolaño leads us on journeys through a surreal landscape of exile, longing, and nostalgia. We savor all he has written, as every offering is a portal into the elaborate terrain of his genius. One my best two books. Tres is not just a Robert Bolaño masterpiece, it’s another Bolaño masterpiece… Bolaño’s talent resides in his ability to transport the reader to the precipice of so many things, not the least of which is a euphoric whirlwind of delight. Tres is a beautiful book that transports the reader in many strange and wonderful ways.